I have said many times, here on my blog, that I love delicious and at the same time very easy-to-cook food. I have a busy job and several spare time activities, so I am always on the lookout for some healthy, fast and delicious food. Of course, regular fast-food like pizza, fries, take-away burgers and so on is not an option for me. I absolutely living by the rule that about 95% of my food should be of a good and healthy quality. This recipe I have here on this page is one of my favorite dinner side dishes. 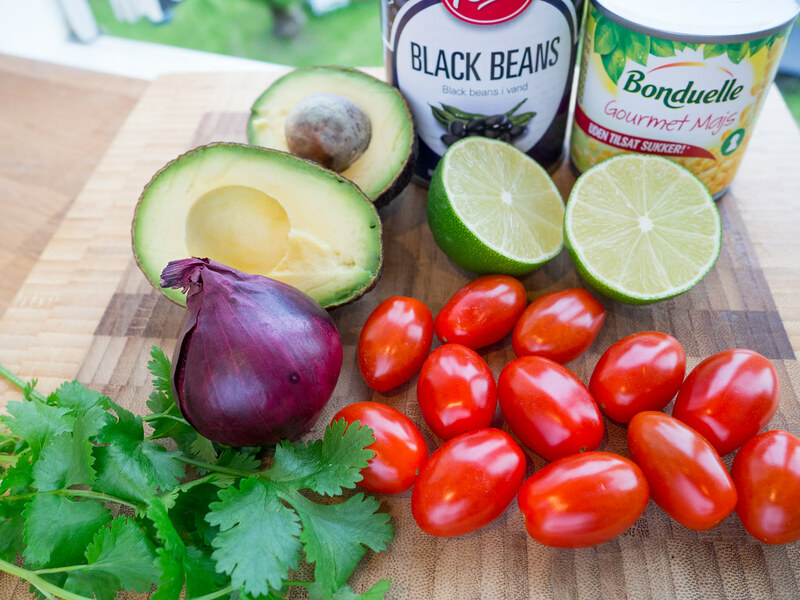 This Black Bean Avocado Lime Salad is fantastic easy to prepare and it is packed with great vitamins and other good nutrition like the protein from the beans and the healthy oil in the Avocado. When I am saying this is an easy salad to make maybe that is an understate – it is super easy to make. 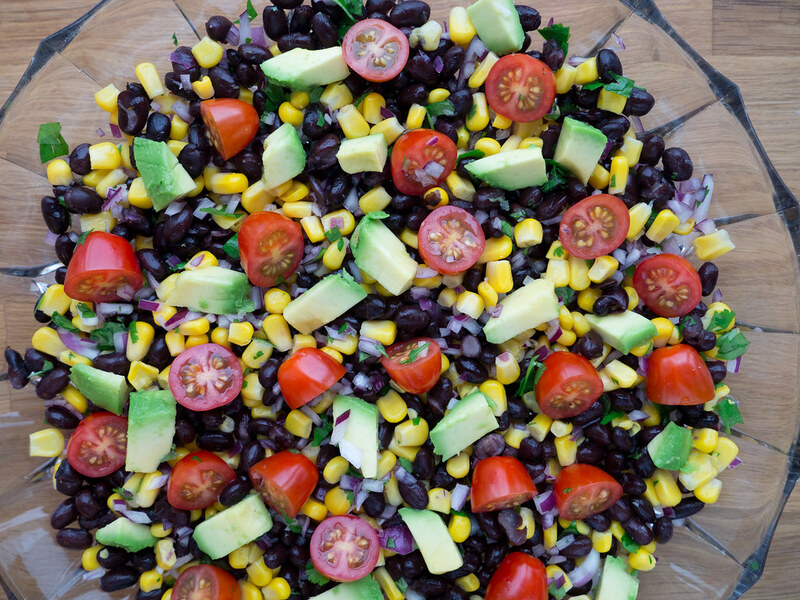 It literally takes maximum 5 minutes to make this healthy and filling salad if you have some caned and ready-to-serve black beans. You can also soak and cook your own beans. However, I typically go for the easy version and buy some caned and prepared beans – they are actually really great. 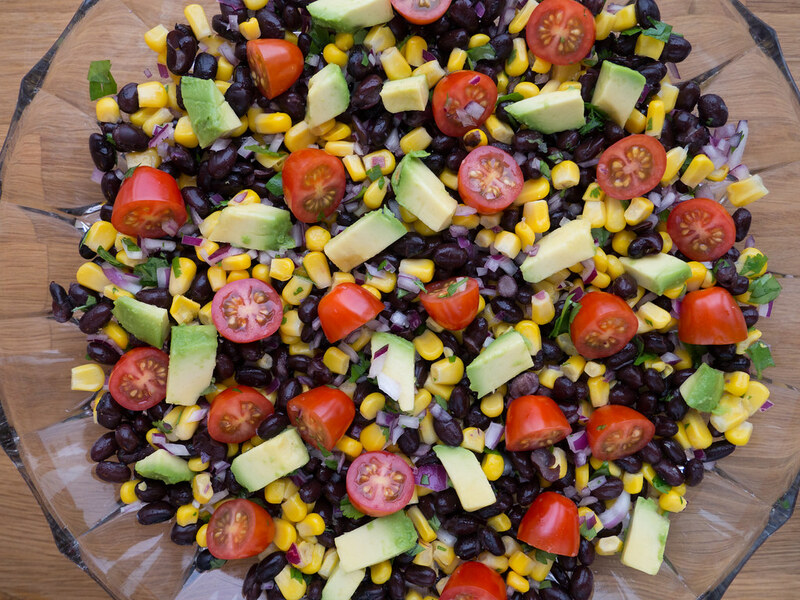 Another great thing about this salad is that many of the ingredients has a long shelf life meaning that you can have most ingredients in your kitchen cabinet – you would only need to pick up some fresh Avocado, lime, tomatoes and parsley. 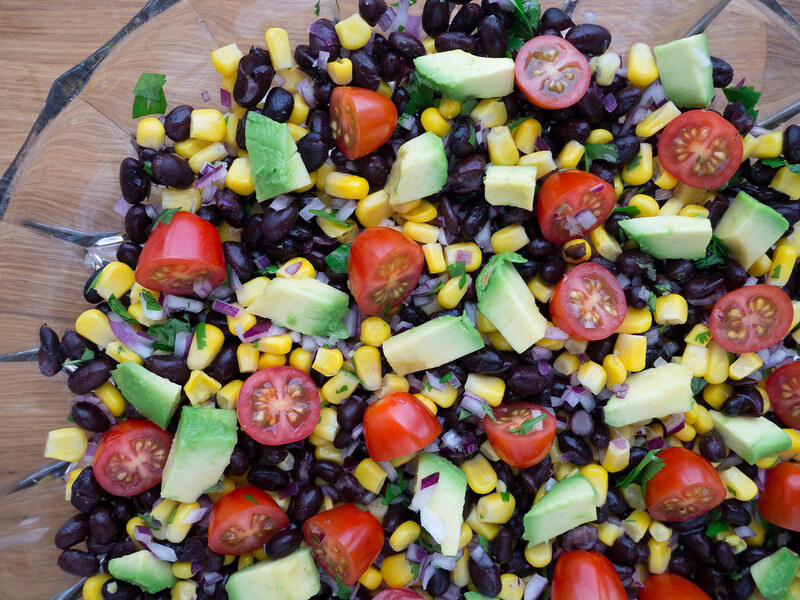 As said, this salad is a great side dish. It goes perfectly together with most meat like fish and beef. However, this salad is quite filling so I sometimes I just east it as the main dish. I will go so far and say that this salad has removed the excuse for picking up unhealthy fast-food just because you are busy. I hope you are going to like it as much as I do. 1. Start by draining the black beans from the water they came in. Then use a strainer to rinse the beans under cold water. 2. 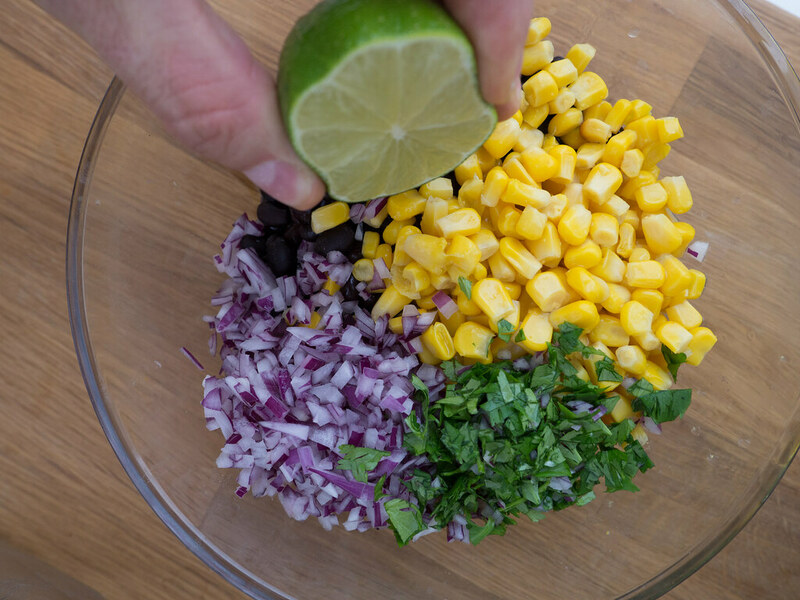 In a bowl, add the drained and rinsed beans, corn, chopped parsley and the finely diced red onion. 3. Squeeze the juice from a lime over the salad. Gently, mix the ingredients together. 4. If you like, transfer the salad into a nice salad dish otherwise just continue to the next step. 5. 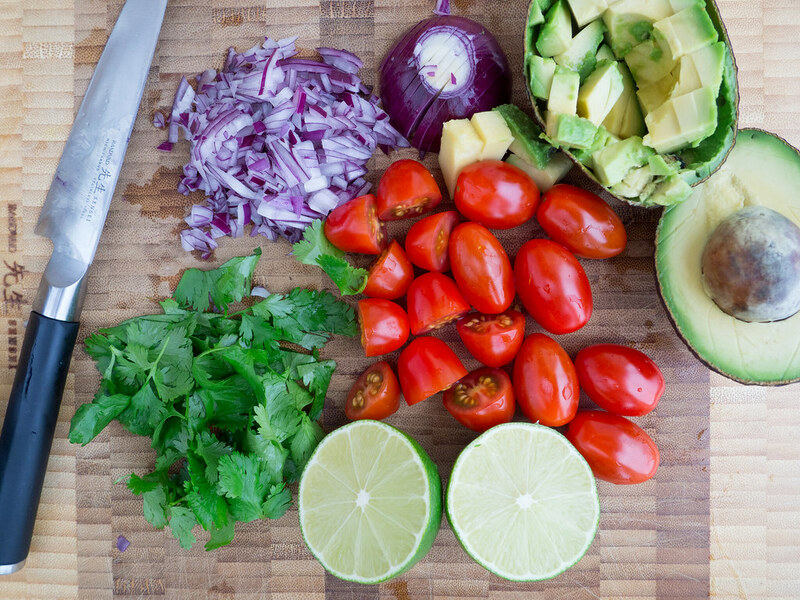 Now add the diced Avocado and the halved tomatoes. 6. Finish the salad by pouring a little olive oil over the it. Serve together with some fish, chicken or beef.